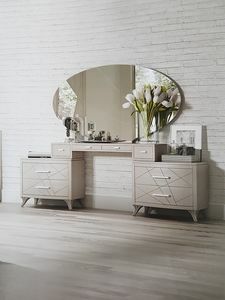 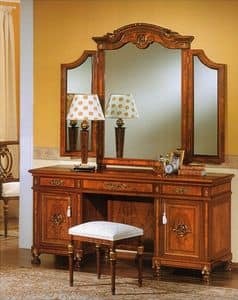 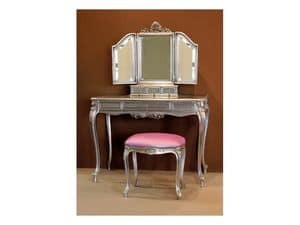 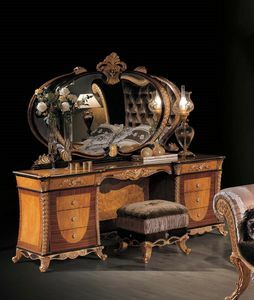 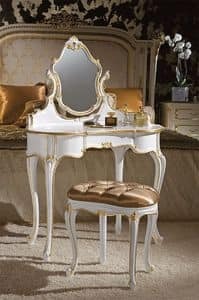 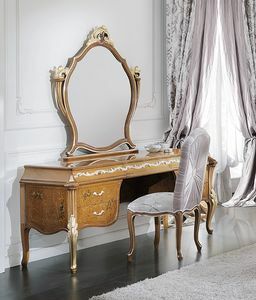 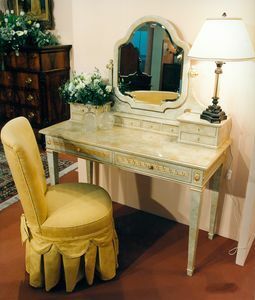 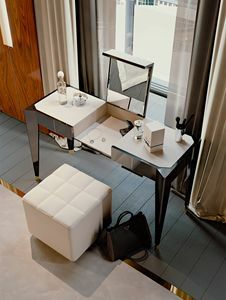 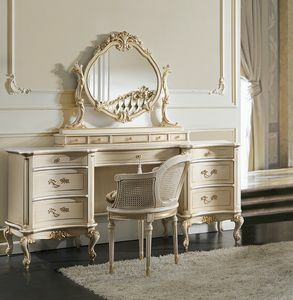 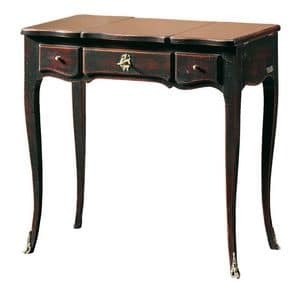 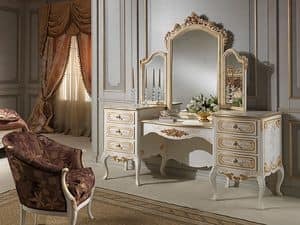 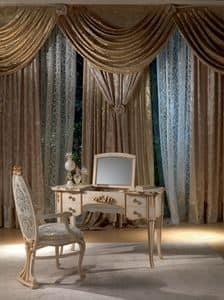 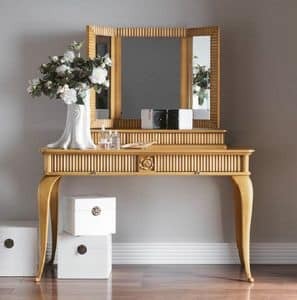 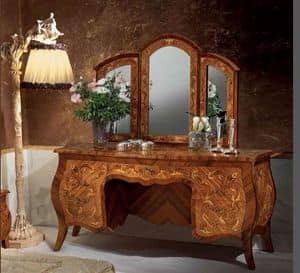 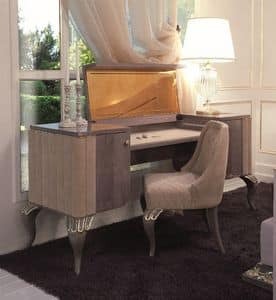 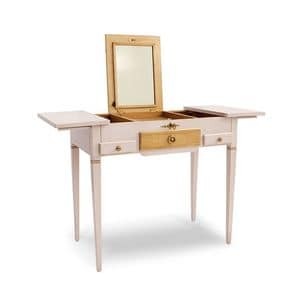 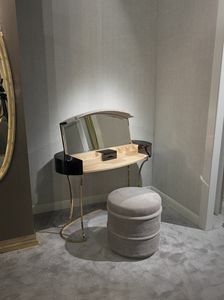 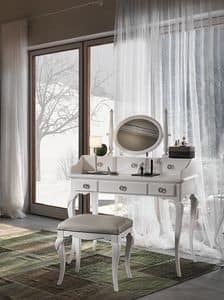 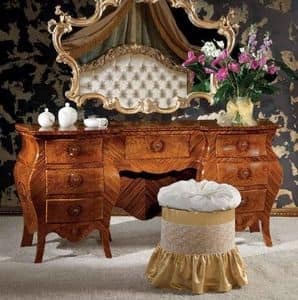 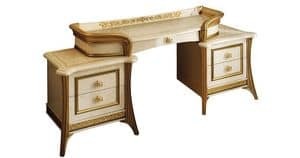 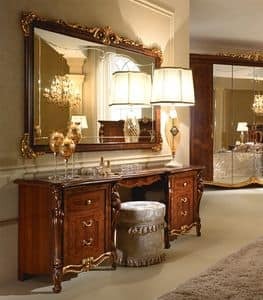 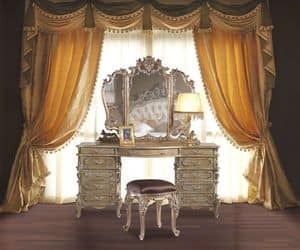 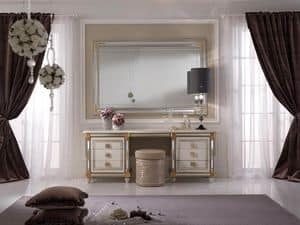 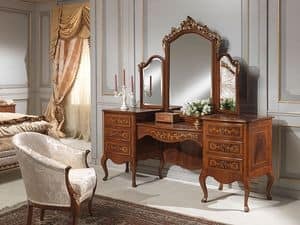 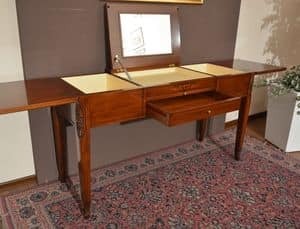 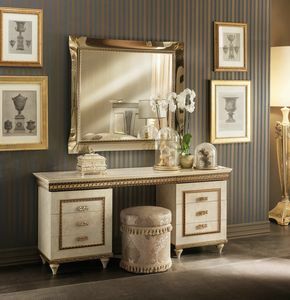 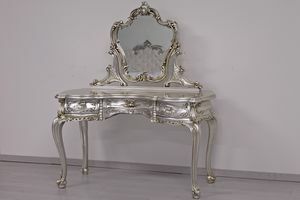 A classic piece of furniture for the bedrooms, the dressing table complete with mirror, an inheritance from the 18th century when the lowboy became favorite piece both in the US and in England. 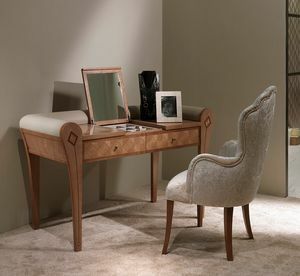 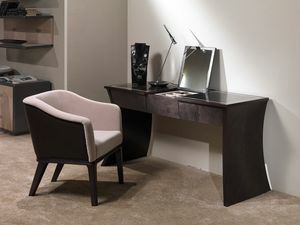 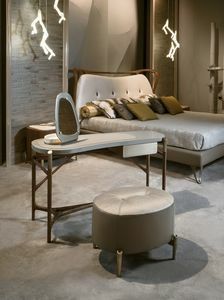 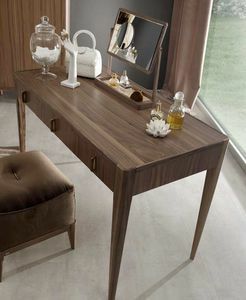 The most elegant and refined pieces repropose the original design and are made in wood, often inlayed and hand-decorated. 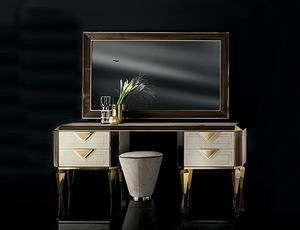 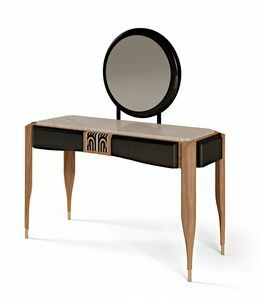 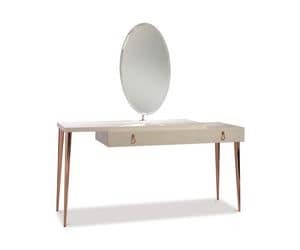 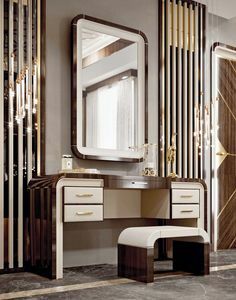 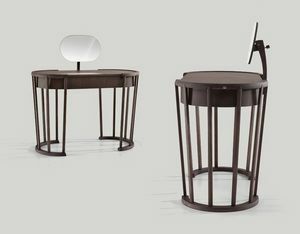 Of course there are modern reinterpretations and variants of the vanity, with a more linear shape, not so grand as the luxury classic pieces. 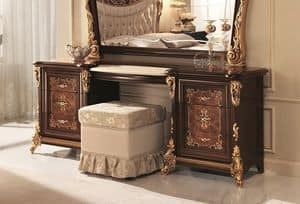 Openable toilet with 3 drawers, luxury classic style.